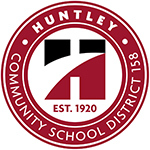 On Thursday, May 4, 2017, at 3:30 p.m., a meeting conducted by Huntley Community School District 158 will take place in the Administrative conference room of the Huntley Community School District 158. The purpose of the meeting will be to discuss the District’s plans for providing special education services to students with disabilities who attend private schools within the District’s boundaries and home schools within the District for the 2017-2018 school year. If you are a parent of a home-schooled student who has been or may be identified with a disability and you reside within the boundaries of Community School District 158, it is highly recommended you attend. If you have further questions pertaining to this meeting, please contact Monica Furlong or Kevin Wolf, Directors of Special Services at (847) 659-6158 ext. 6137.